Grace Baking Brioche buns… what gets me is the name, I can’t just get past the fact that “brioche” means “bun” in French. 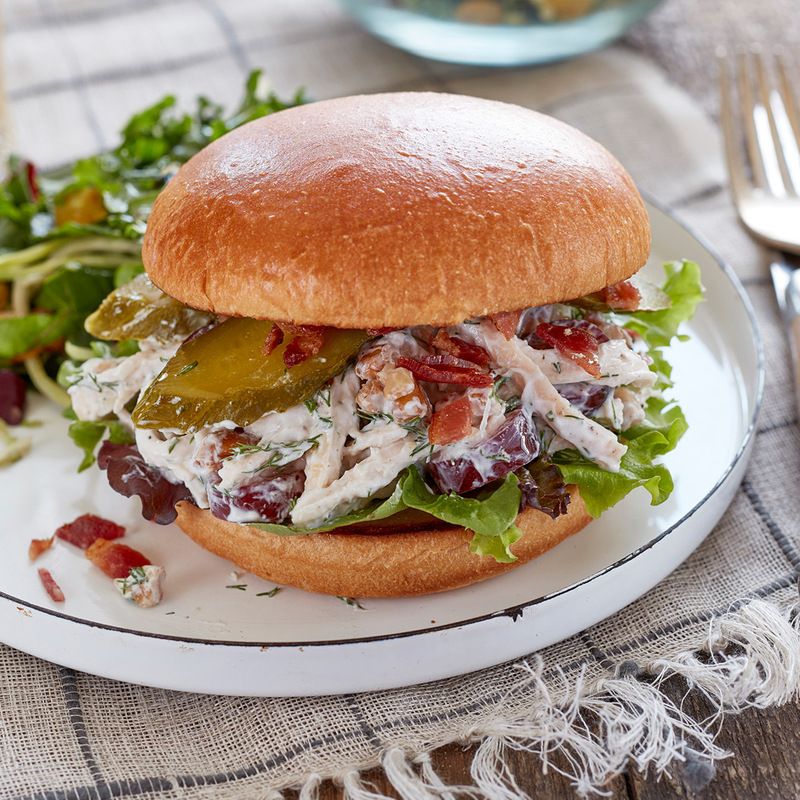 So, technically speaking you’ll be making our amazing Picnic Chicken Salad Sandwich using our “bun bun”. But there’s nothing technical about this sandwich, in fact your reaction is going to be pyrotechnical – yep, all fireworks & ear-to-ear grins. No wonder, considering how much taste we’ve managed to cram into it; red grapes, Greek yogurt, pecans, walnuts, pickles, bacon, dill which adds up to a whole lot of sandwich derring-do. It’s nearly every food group contained in a single amazing bun… er, brioche. Nevermind, you get it, now go make one. In a bowl, stir together chicken, grapes, dill, yogurt, lemon juice, nuts and pickles until combined and season with salt and pepper to taste. Toast buns and spread butter evenly onto each bun half. Place lettuce on bottom bun, followed by chicken mixture, top with chopped bacon and bun top (butter side down). Wrap in parchment paper and refrigerate until ready to eat.